Join the Museum of Science and Industry this weekend to help celebrate its 80th anniversary! As part of the commemoration, the Museum will open a new exhibit, 80 at 80, which features 80 rarely displayed artifacts from the Museum’s extensive collection, carefully selected by MSI curators. Many of these items will ignite guests’ memories from past exhibits—like a gigantic Paul Bunyan statue and TAM, the Transparent Anatomical Mannikin—but many of these special items are going to be revealed for the first time! This exhibit is included in Museum Entry and will run through February 2, 2014. 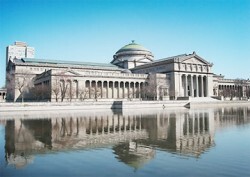 Museum of Science and Industry, Chicago; 5700 S. Lake Shore Dr.